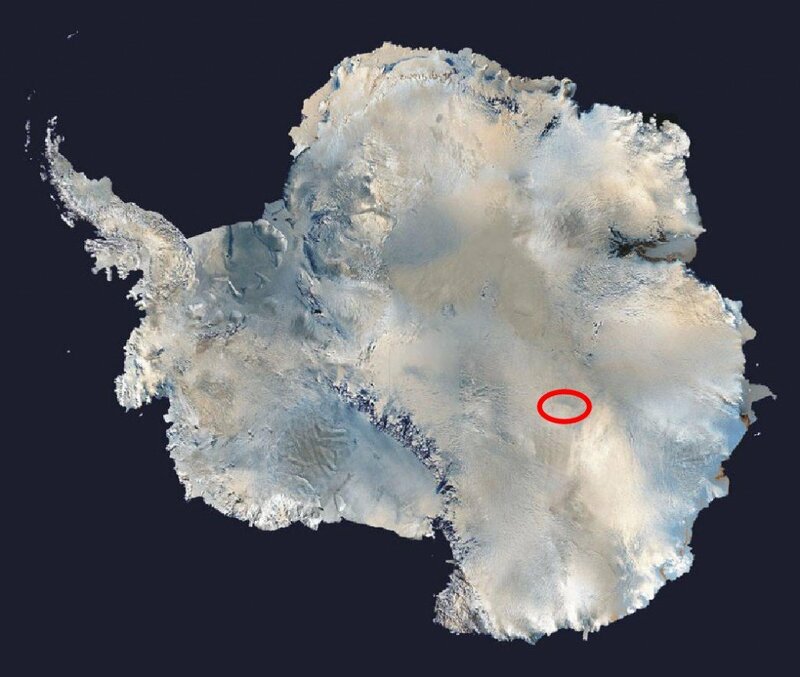 Home Tags Posts tagged with "Pole of Cold"
The coldest place on Earth has been identified in the heart of Antarctica. The lowest temperature was recorded on August 10, 2010, and has been measured by satellite to be a bitter minus 93.2 Celsius (-135.8F). Researchers say it is a preliminary figure, and as they refine data from various space-borne thermal sensors it is quite likely they will determine an even colder figure by a degree or so. The previous record low of minus 89.2C was also measured in Antarctica. This occurred at the Russian Vostok base on July 21, 1983. It should be stated this was an air temperature taken a couple of metres above the surface, and the satellite figure is the “skin” temperature of the ice surface itself. But the corresponding air temperature would almost certainly beat the Vostok mark. “These very low temperatures are hard to imagine, I know,” said Ted Scambos from the US National Snow and Ice Data Center in Boulder, Colorado. Dr. Ted Scambos was speaking in San Francisco at the American Geophysical Union (AGU) Fall Meeting, the largest annual gathering of Earth scientists. He and colleagues have been examining the data records from polar orbiting satellites stretching back some 30 years. They find the coldest moments in Antarctica occur in the dark winter months at high elevations, where the extremely dry and clear air allows heat to be radiated very efficiently out into space. It is evident that many super-cold spots are “strung out like pearls” along the ridges that link the high points, or domes, in the interior of the continent. They are not quite at the ridge crests, but set slightly back down the slope. The cold pockets run in a line for hundreds of kilometres between Dome Argus [Dome A] and Dome Fuji [Dome F]. They all achieve more or less the same low temperature between minus 92C and minus 94C. The minus 93.2C figure is the temperature event in which the team has most confidence. It was recorded at a latitude of 81.8 degrees South and a longitude of 59.3 degrees East, at an elevation of about 3,900m. One of the spacecraft instruments being used in the study is the Thermal Infrared Sensor on the recently launched Landsat-8. By way of comparison, the hottest recorded spot on Earth – again by satellite sensor – is the Dasht-e Lut salt desert in southeast Iran, where it reached 70.7C in 2005. The coldest place in the Solar System will likely be in some dark crater on a planetary body with no appreciable atmosphere. On Earth’s Moon, temperatures of minus 238C have been detected.